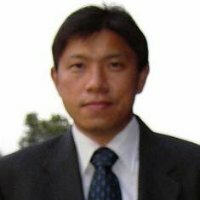 Dr. Wei-hsing Huang is SPISim’s founder and principal architect. He plans the product roadmap and also leads the development and marketing for SPISim’s products. Wei-hsing has been in EDA domain for twenty years. He was with Mentor Graphics and Intel Corp. previously. At Mentor, he was a core developer of high-speed system design product, InterConnectix. At Intel’s Technology CAD, he was a core team member of in-house circuit simulator and on-chip signal integrity tool. At Intel’s PC Client Group, he developed 10+ design tools in signal integrity, power integrity, EMC, package and modeling areas. These tools have been widely used within the company and also by external customers. He is also regarded as an IBIS modeling expert within the company and has provided training and consultations to various groups for modeling released to external public. In 2015, he left Intel after 14+ years of service to found SPISim. Since then, he has been providing design service, consultation and products to companies such as Apple Inc, Amazon, Intel and Microsoft corp. etc. Wei-hsing received Ph.D. in EE from Michigan State University, MS EE from Polytechnic University (NYC), BS EE and BS Physics (dual degrees) from National Cheng-Kung University at Taiwan.